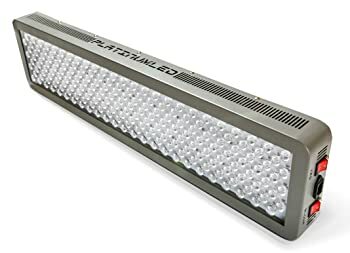 If you’re looking for a top-of-the-line LED grow light for your plants, the PlatinumLED Platinum Series P600 is a wonderful choice. We recently tested one of these (purchased on Amazon) and the results were incredible. Let me explain to you why this light is so good. This particular LED grow light is one of the best for the price because it has a solid build and a sturdy feel. 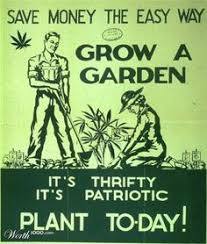 More than that, it was easy to set up, which is great when you will be using it for an indoor grow room. 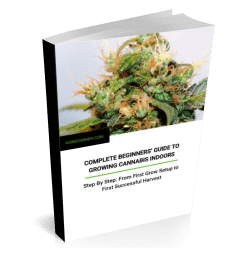 Whether you’re growing tomatoes, cannabis, or even flowers, this will help you recreate “sunlight” even indoors. Particularly when you are dealing with cannabis, the ability to grow indoors makes a difference with the quality of the product. You won’t be battling with weeds, pests, or harsh weather conditions, but you also won’t have real sunlight. You’ll need a light panel that works well for indoor plants, since you won’t just be supplementing the sun – you will be replacing it. This unit has a variable switch to program it for vegetative or flowering stages of the plant’s life. It won’t do all of the work for you, but it’ll sure make the job easier. Once you get these lights turned on, you will be amazed. 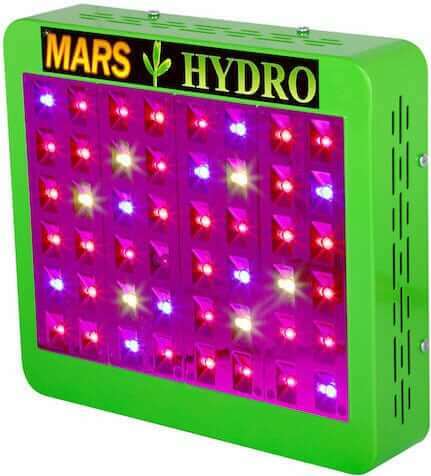 Remarkable 12-band full spectral output means that anywhere from deep UV to high IR, you will get a complete and efficient light source that will keep your plants thriving. You will have to keep an eye on your plants, as the shock from the light change may cause damage – however, if this happens, all you need to do is adjust the height of the lights and you should be good to go. This grow light puts off an intense light, about 2-3x more intense than most LED grow lights on the market. This is intense enough that you can physically see the light penetrate the plants. However, even with this intense light, the system stays fairly cool, thanks to the quiet fans inside. The result is a light that runs much cooler than traditional bulbs, and at a fraction of the electricity costs. This combination of intense light and powerful fans makes this one of the best LED grow lights available. As an energy efficient option, it’s even fairly affordable when compared to some other budget LED grow lights. For your ideal setup, you should anticipate one plant per square foot of your grow room, although it is possible to start your plants much closer than that – you will, of course, have to move them as they grow and develop. The maximum coverage range is rated at 6’x3.75’ at 18”, but naturally you will yield better results if you use the light more concentrated. The core coverage range is estimated to be about 5’x2”, but your results may vary. We used three in our setup with wonderful yields. It’s almost always better to have more light than you need than it is to have less, so if you can afford to, we’d recommend grabbing an extra. On top of the high-efficiency bulbs and durable construction, these lights come with something completely unheard of: A 5-year warranty and exceptional customer service provided by the owner directly. With the energy savings against an 800W HPS alone, this unit will pay for itself before the warranty runs out. These are not resold and marked up, you are getting it directly from the source here. How often do you get your customer service directly from the owner of the company? If you’re questioning whether or not to get this light: Go for it. It might cost a fair amount more than some other grow lights out there, but you have to decide what means more to you: Your budget or your results. If you are like most growers, your priority will be in the results, and this grow light simply can’t be beat. 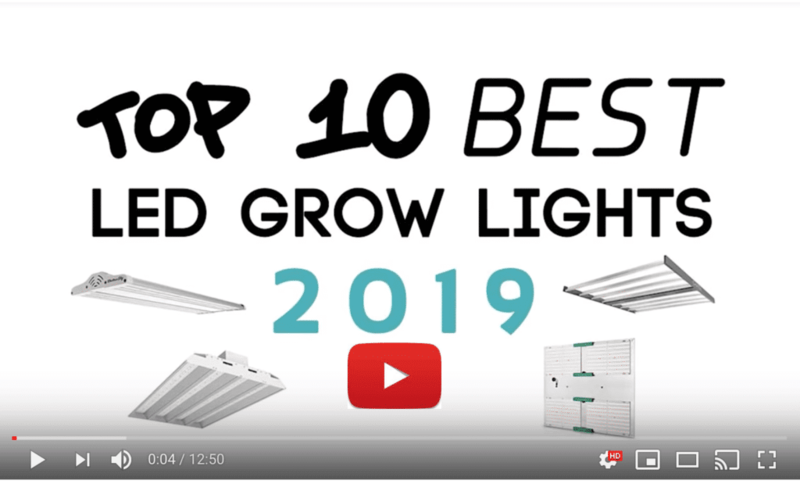 It’s the best LED grow light to buy for the serious grower. The warranty guarantees that you won’t have to run out and replace it anytime soon. The results guarantee that you won’t want to. I bought 6 of these 600’s, 2 per room 4′ x4′ rooms their so called ideal perfect set up that eclipses anything else. Put them in at the beginning of flowering, ended up with half of what a 1000 watt hps produced, now 2 weeks into grow & the clones & seedlings are falling way behind, my clone room running a 400 watt sontagro hps adjustable ballast set at 60%, so about 240 watts the plants are twice the size that has now confirmed how lacking these lights are in every manner, l spent most of today researching how to send them back & get a refund. I watched many YouTube vid’s saying how good they are that sold me on them, I’m looking at getting 5K back from the 6K l spent 1 K lost & a lesson learnt, buy them at your own peril !!!!! …. 30 years of growing experience & never been this disappointed ? with any other product, l don’t type for the sake of it. As they say if your happy ? with a product tell a friend if your not tell everybody good luck ? Thanks for your info. It will help other readers. I am wondering if your experience with hps lights is comparable to LED Grow Lights, since the growing technique can be a bit different from HPS to LED. Obviously, other people ahve had a different experience with these lights but not everyone uses them the same way as you probably. Anyway, hope you can get your money back. Let me know if you need help writing to the company. For a 4×4 tent with 4 to 6 plants. Will this do the trick? Would this still be considered optimal? The light does not have that ability right now but possibly in the future. Are you able to daisy chain the p600s together so i only have to use one outlet?